Welcome 2019 with these fantastic offerings from these Forever Resorts! It’s that time of the year where we can start to plan some incredible holidays as the new page of 2019 has arrived. 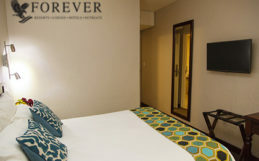 Forever Phalaborwa, White River Hotel, Gariep and Badplaas have some great senior specials tailor made for you! Bushveld bliss at Phalaborwa Safari Park Forever Phalaborwa Safari Park is where … Continue reading Welcome 2019 with these fantastic offerings from these Forever Resorts!